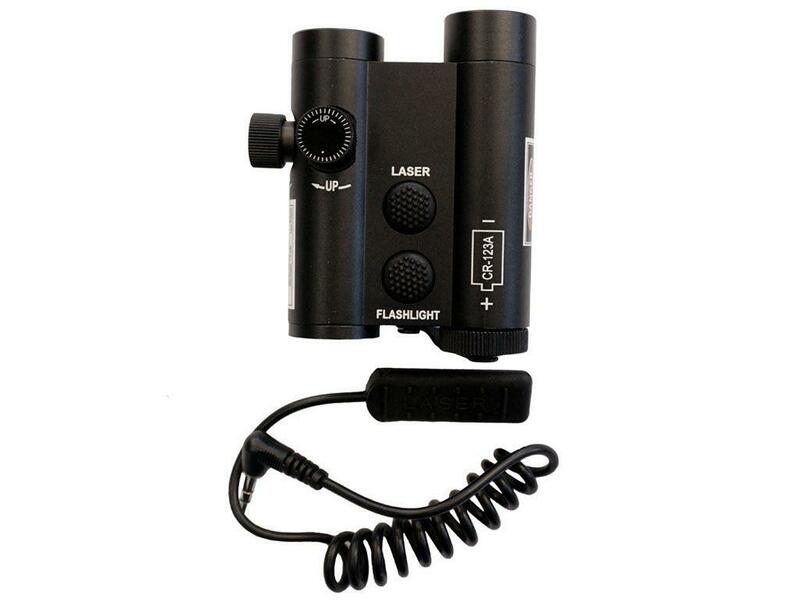 Green Laser And LED Holographic Sight | Replicaairgun.ca | Easter Weekend Sale! Wheels on the top and side adjust horizontal and vertical location of green laser pointer. 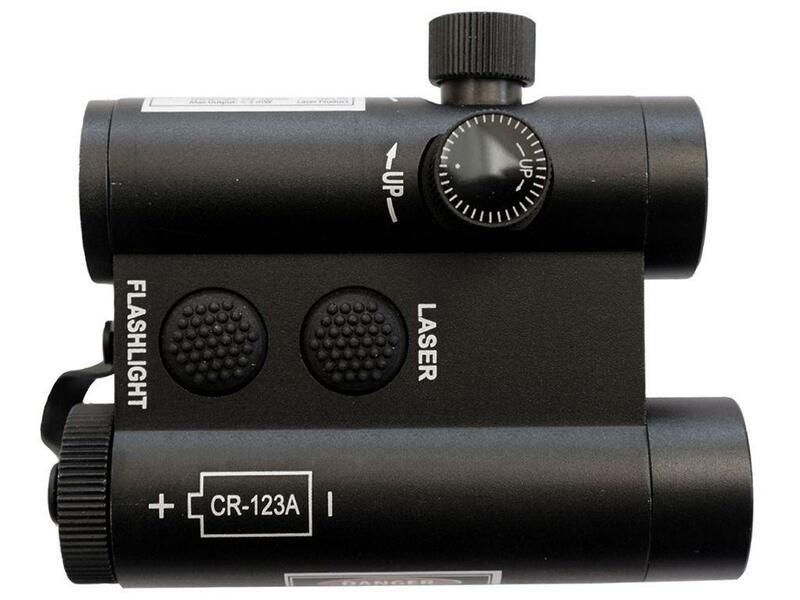 Package includes a laser remote to illuminate the laser without disturbing the gun. 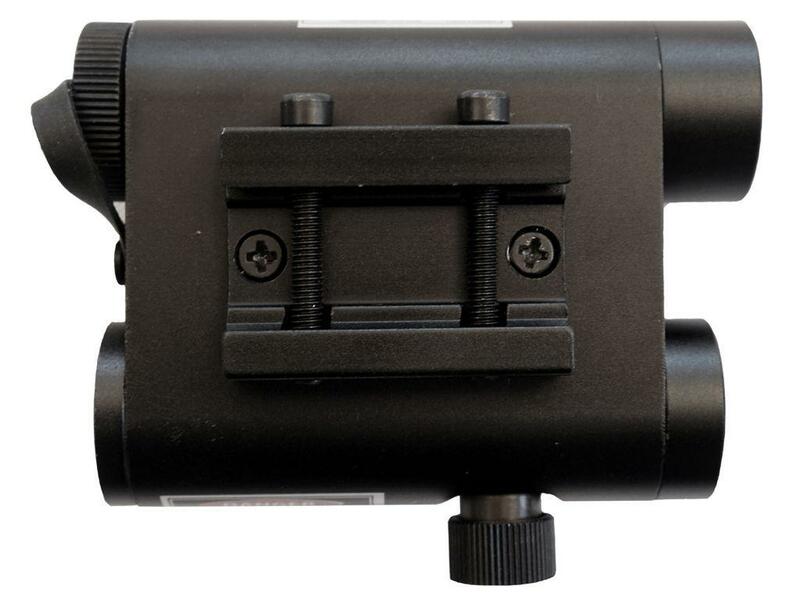 Easily mount laser and flashlight on gun using weaver rail. One Cr123a Lithium battery included.